Happy New Year one and all. After the election, during the months of November and December, I started to post from time to time and then was drawn away by other responsibilities. In the good news column, after submitting a blind essay I was accepted to the HarperCollins “New to Publishing” event. This January networking event promises to be a wonderful way to meet the leaders at HarperCollins. I took work substitute teaching at a private school in Brooklyn. I’ve enjoyed being with students again and meeting the librarians who connect kids and books. I spent the holiday season at a high-end paper store in Rockefeller Center. With lines to the women’s room that stretched on and on, I was grateful for the key to Shangri-La (the secret employee’s bathroom). If you haven’t waited tables or worked in retail you are missing an understanding of how we treat service employees. Reread Nickel and Dimed by Barbara Ehrenreich and if a retail person asks if they can help you, don’t say you’re just browsing. Throw them a bone and ask what’s new in the store, or what’s on sale. They spend every day with the stock. As I leave the store, I’m grateful for the wage I got, for the increase in the minimum wage that workers in NY will get in 2019, and my awesome co-workers. Still, November and December were filled with economic anxiety. I ended up using some retirement money to pay off credit card debt from my move. After laboring over the decision for weeks, having a clean slate has been tremendously freeing. I’m thankful for my apartment as it has given me a solid foundation to build my new life. I enter 2019 grateful for my health, my children and my family, reconnecting with cousins, and finding new friends. On to new and wonderful writing and work! Along with the rest of the country, I have been mourning the loss of life in Pittsburgh. If you haven’t seen it already, I recommend this video by Mayim Bialik the actress from Big Bang Theory. Her raw emotion captures how many of us are dealing with the fear of anti-semitism and the frustration of being Jewish in this time in history—a time filled with hate (racial, gender, sexual, religious) we and our parents had been working so long to overcome. 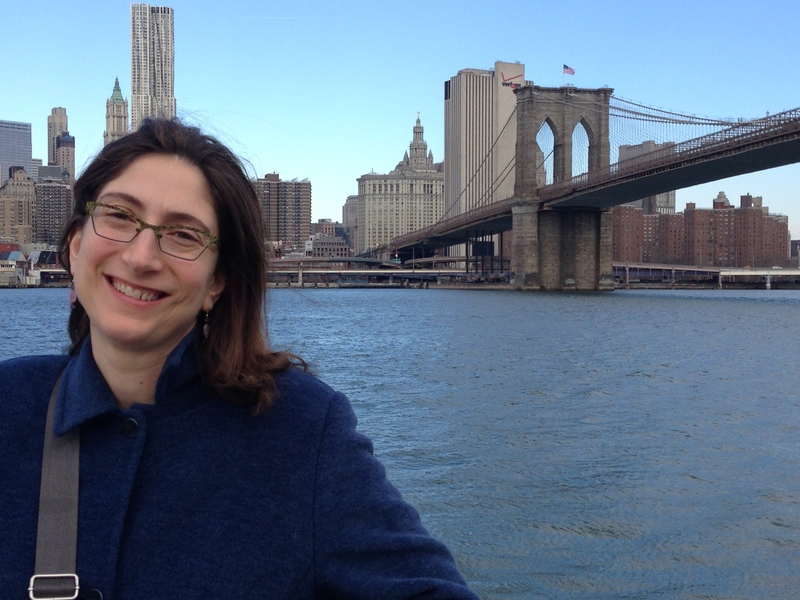 I also want to amplify Stacy Mozer’s “My Thoughts on Pittsburgh” from her children’s writing blog It’s All About the Journey. I’ve been “shopping” synagogues the whole time I’ve been here, so I did #showupforshabbat last Friday night and a lovely new group of people welcomed me. We wrote letters of condolence to the Tree of Life and other congregants. During the amazing service, with my back to the door, my spine tingled with the fear of violence. Later in the weekend, I found out that the synagogue where I attended Yom Kippur services saw anti-semitic vandalism. One of the songs we sang on Friday night was Heneni or Here I am with a melody by Julie Lipson. The chanted call and response was powerful and sad in the well-attended service. You can hear it here. The experience inspired this poem. Of course, when one is on edge emotionally anything can topple you. The enormity of my transition, past pain, current family illness, and the fact that two months ago I kissed my kiddos good-bye. The excitement of NY had allowed me to push aside my empty-nest feelings but that sadness rushed in with the grief of the shooting. In other news (or the same news really)…tomorrow is Election Day. I spent some time phone banking yesterday and have been posting regularly to remind people to vote. I think hope lines will be long. Stay with it folks. Dress appropriately, bring a plus one, and find a way to have fun. Don’t even watch or listen to the polling numbers. Every race is a tight race and your vote matters! As my savings decrease, I’ve been working on a freelance article and pursuing some retail and some teaching opportunities. I’ve been accepted to VIPKid, a company that provides an online platform and lessons to teach English to Chinese children. There’s a lot of hustle required, but at this point, I need something. I also had a phone interview for a substitute teaching position at a local independent school. My end game is still a job in children’s publishing. I’ve been looking into industry organizations and following up on leads that come from friends and family. Thanks to everyone who has been emailing and calling. Thanksgiving is coming. Take time to hug your loved ones. Try to find common ground. If you can’t…just hold each other in silence. See you in a few weeks. Over the past two weeks, I’ve been nesting a lot more. I finished emptying the last few boxes and bought a kitchen table, bookcase, and bed/futon bunk for my boys from Craigslist. 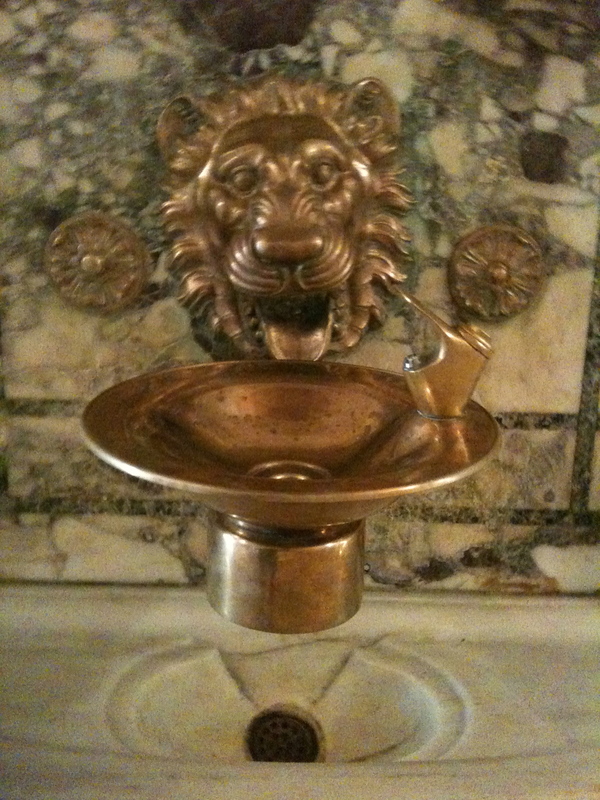 A tickle in my throat turned into a full-on nose drippy mess and I spent a few days in bed. I started having in-depth conversations with Phyllis, Spike, Ginger, and Lucky (l-to-r below) and knew that as much as I loved these new members of my family, I needed other people in my life. When my sons were small, I met other grown-ups at story times. I waited on playgrounds with other parents as our kids donned backpacks and zipped zippers at the end of the day. We discussed our joys, our pains, our lack of sleep. Some of these relationships took root, and I still have them today. 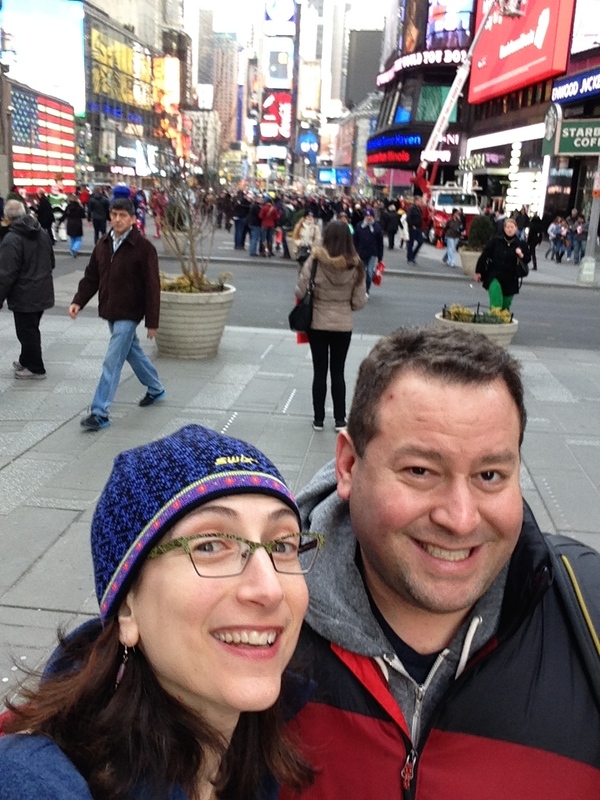 Moving to New York has meant finding ways to meet friends without children in tow. In Maine, my longest relationships are with the women in my book club. Luckily, the book club meeting for the nearby, feminist bookstore Cafe con Libros was quickly approaching and they were reading Americanah, a book that has been on my TBR list for far too long. The day of the book club, with only a quarter of the book read, I wiggled into the small space, bought tea and a scone, and started to introduce myself. I met a few other people new to the area who also had been drawn by the promise of intelligent conversation and diverse thinkers. It is true that independent bookstores build community! Thanks to my subway rides I’m almost done with Americanah and ready to pick up our next book, All You Can Ever Know by Nicole Chung. And…my old book club approves of my polyamorous book clubbing. While I was very involved in the Society of Children’s Book Writers and Illustrators (SCBWI) from 2001-2011, my participation dropped off after my VCFA graduation. Over the last two weeks, I attended a few events including a first-pages critique where I volunteered and a write/sketch night. Both events helped me make new connections that I hope will grow. As the camp song goes, “make new friends but keep the old…” I was so pleased when my camp friend, Adam, called with an extra ticket to the play Usual Girls. This amazing drama, that follows the life of a Korean-American girl from third grade to young adulthood, is a raw portrayal of the all-too-familiar microaggressions faced by women of color and girls/women in general. On the heels of the Kavanaugh hearing, the play was especially powerful. I’ll be watching this playwright, Ming Peiffer, and the wonderful young actors for whatever they do next. I also found my way to Anastasia this week. The Disney musical includes digital technology to make the staging almost cinematic but the new songs and villain they added for the musical are less engaging. People I love would be upset if I didn’t mention that Christy Altomare’s kindness shines through in her portrayal of Anya/Anastasia. And, ooo-wee that girl can sing! Most of my time has been filled with researching open job positions, networking, and applying for work. A massive headache, throat pain, and runny nose didn’t help my spirits so I’ve definitely felt defeated. My spreadsheet shows that I’ve applied to 35 positions since June. Recently, some of those are retail and restaurant jobs. Cross your fingers for me! Finally, I turned in my absentee ballot last week. If you haven’t already, please make your voting plan for Tuesday, November 6. Make an appointment for you voting time on your calendar. Or if Tuesday, November 6 doesn’t work for you, request an absentee ballot or vote early. Not sure where, when, or how to vote? Here’s a link to the US Vote Foundation that will answer your questions about registration, absentee ballots, and more. VOTE! This week I left the lovely pup I was dog-sitting. I spent two full days on hands and knees with a sponge, cleanser, and a razor scraper removing filth and paint spatter from the bathroom and kitchen—tile, cabinets, floors, you name it—in my new apartment. I rented a car and drove to Princeton to help the movers retrieve my things and then I moved in! I ate delicious pizza on 5th Ave in Brooklyn, walked Park Slope, and popped into the children’s bookstore Bookshop + Storytelling Lab. I watched the spectacle in the Senate live with my new internet connection and then—sad, angry, and frustrated—went to The Brooklyn Museum to refill my spirit with activist art of the Black Power movement. 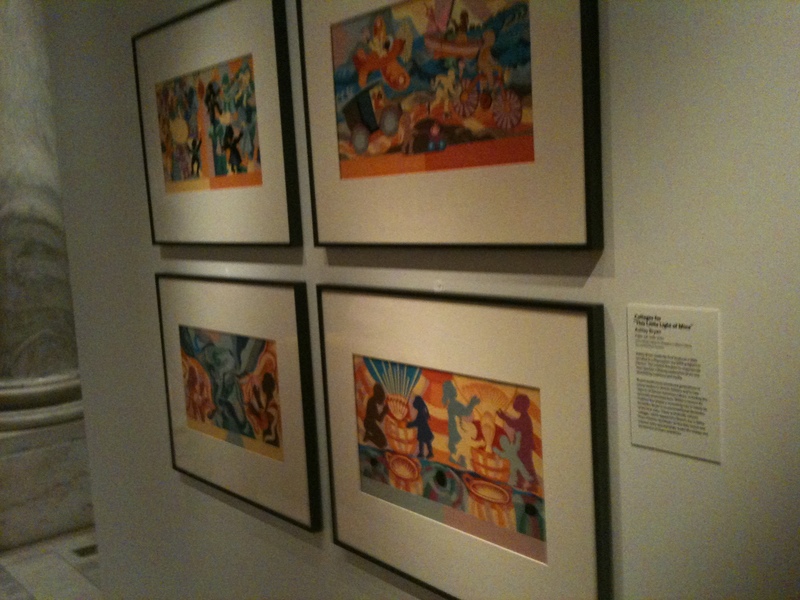 I took refuge in the room specially built for Judy Chicago’s The Dinner Party and the 1,038 women honored there. Even though I’ve owned and read the catalog for this exhibit since college, I was still unprepared for the glow of the gold—the writing on the floor, the thread in the runners, the glaze on the plates—which was magical and calming. This morning I pumped my bike tires and explored the 3.2-mile Prospect Park loop road which is closed to traffic on the weekends. I ended up at the Grand Army Plaza farmer’s market! It felt so much like the Brunswick Mall in Maine that I almost expected I might see my old friends. Instead, I found new kindnesses…a vendor who spotted me 50¢ until I could purchase my wooden tokens (good for all farmers markets in NY and worth $5 each!) and a man who paid $1 of my egg purchase because the vendor didn’t have the right change for my tokens. That’s a lot of beets!!! and my kitchen. Window cleaning is on my list of things to do. They are replacing the stove today because the gas company deemed it hazardous. Luckily I brought my electric griddle for just such a situation. I’ll admit that with the cleaning, moving, and exploring my stats are down, but I have a whole slew of job apps that are going out this weekend. Also, I’m happy to report that I’m back to writing my morning pages and opening my fiction works in progress. A man cutting fingernails on subway train and letting them fall to the ground. Ick. A woman in a drugged stupor who everyone ignored even when she almost fell off her seat. I shook her to find out if she needed medical attention and then told the train driver. I realize there are too many of those situations to help all the time, but it didn’t hurt me to help her in that moment. I’m not going to sugar coat it. This week was tough. My pet sitting gig was on pause while the family regrouped between trips which meant I slept in four different beds this week—an Airbnb, a cousin’s home, a friend’s home, and then back to the pet sitting gig. Along the way, I lugged my ancient laptop (read: heavy) from Manhattan to Long Island to Roosevelt Island to Brooklyn and ended up bruising or pulling the muscle in my shoulder and neck area. It started as just a pain in the neck but on Thursday morning the pain was debilitating. There’s nothing like pain and a trip to urgent care to pull the plug on the tears one’s been trying to hold in. Thank you, Dr. Cassie, for being so kind to the sobbing mess on your exam table. I found out that none of the three apartments I’d been hoping for came through from last week. I don’t meet the 40x-the-rent income requirement. I’ve applied to another apartment on my own this week and if this application doesn’t work, I either have to 1) accept my parent’s offer to co-sign or 2) find a room with others. The former I’d hoped to avoid because, well, I’m a grown up and it would be nice to do this by myself. However, I had a lovely dinner with a VCFA friend this week and she let me know that rarely can anyone meet the requirement even when they have a job. The later I’d hoped to avoid because I’m a mom of college-aged children, and I’d like them to have a place to come home to where they feel welcome. I can’t imagine a bunch of roommates welcoming two men-children into their space. I’ve applied for three more jobs this week, and I continue to network in the children’s book community here. I attended Children’s Day at the Brooklyn Book Festival and ran into book authors and agents that I know and met new folks too. I’m thankful to the kindness of the folks at MetroNY SCBWI, Chronicle and Enchanted Lion Books. The highlight of the picture book tent was witnessing Ame Dyckman’s incredible energy and Jessica Love’s aura of gentleness and love. Next steps: In the upcoming week, I’m excited to work on a curriculum guide for Lee and Low. If the apartment doesn’t come through, I’ll start interviewing with roommates. Cross your fingers for me. Image from illustrator Terumi Tashima and can be found under the “Typography” tab at https://www.terumitashima.com. 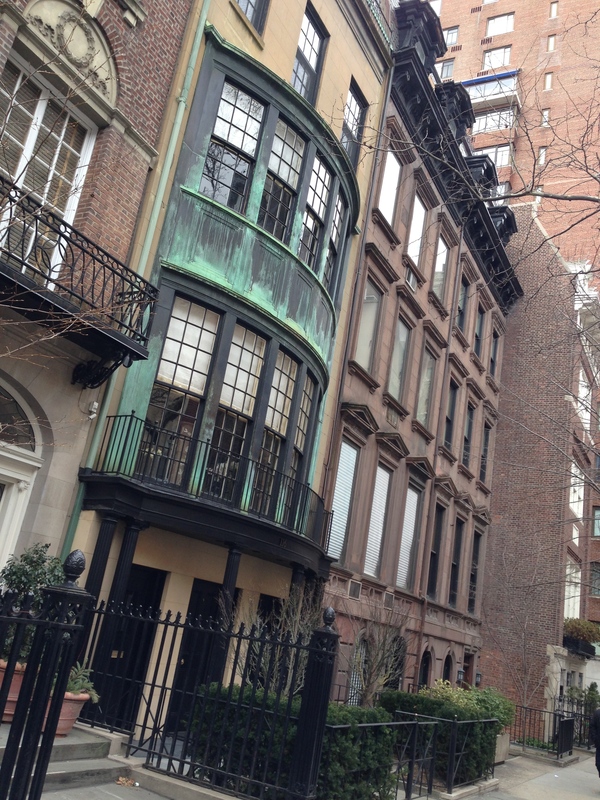 Last week, after 24 years living in the same small, college town in Maine, I leaped and moved to New York City. It wasn’t as all-of-a-sudden as it sounds. I had been considering, planning, and wanting to leap for a while to leverage my 15-years of experience in the children’s book world at a job at a larger publishing house. So when both son 1 and son 2 packed for college this year, I packed too. We loaded UHauls, dropped the sons off at their institutions of higher learning and stored my things in New Jersey. I found a pet-sitting gig until September 21 and have been exploring this city. It’s been a high anxiety week masquerading as an adventure. The reality of Maslow’s Hierarchy of Needs—that one must meet physiological and safety needs first (food, water, warmth, rest, safety and security) before self actualization—is shockingly apparent. Synagogue services: 1…at which the Rabbi said, “Think back a year. You are not the same person you were then. You face the new year as a new you.” For me, that couldn’t be truer. 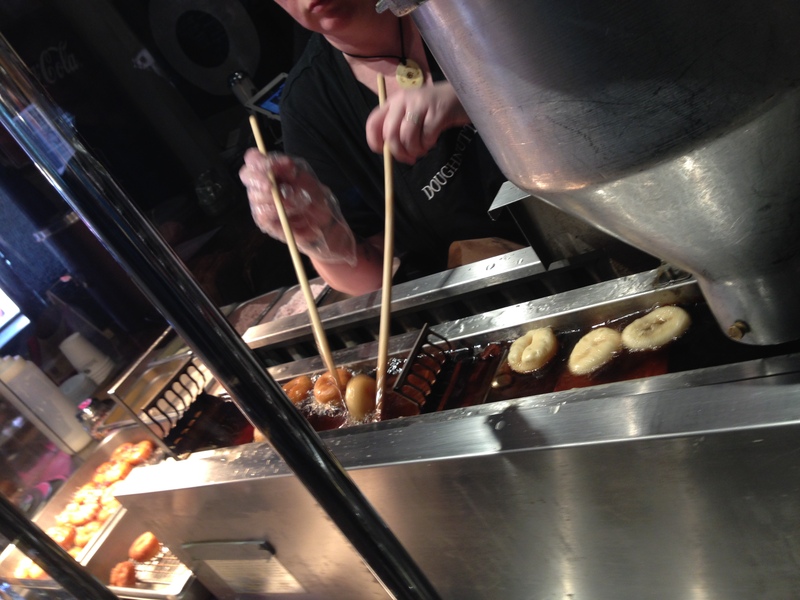 If you’ve been reading Creative Chaos for a while, you know that New York City feeds me. Day to day, I live in a very quiet and small town where I love being part of a close community. I enjoy the peace (little to no traffic, crime, noise, etc.) that goes along with it. But sometimes I need the culture, diversity, bustle, and grit of the city. I was lured to the city this month when my agent sent me an invitation to a PI(e) Day party she was giving. 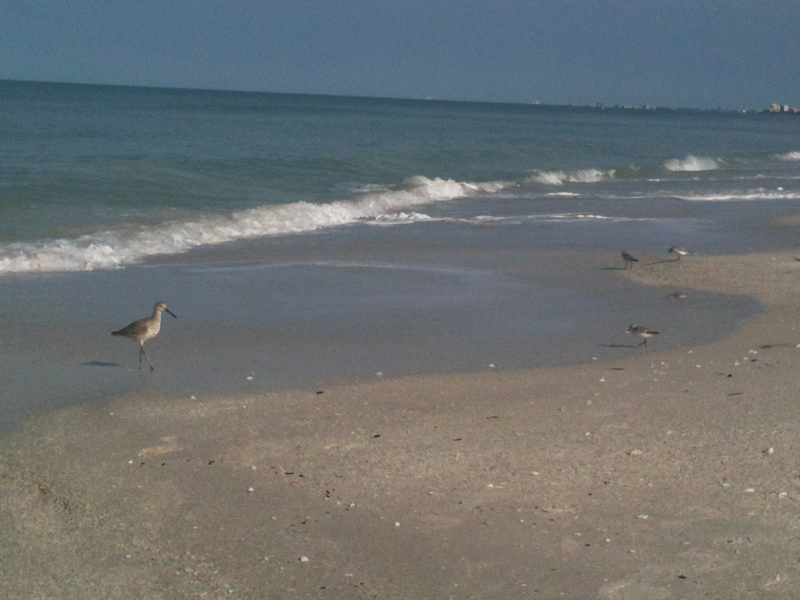 I quickly contacted a few friends to see who might let me surf their couch. I was thrilled that my long-ago friends from Eagle’s Nest summer camp welcomed me into their Brooklyn Heights apartment which was an easy cab ride to The Treats Truck Stop Restaurant where Kim, the owner, made amazing savory and sweet hand pies. The company was just as sweet. Lovely editors, agents, writers, and illustrators ventured out on another cold spring night for the warmth of other industry professionals in the kidlit community. Everyone was welcoming and wonderful. 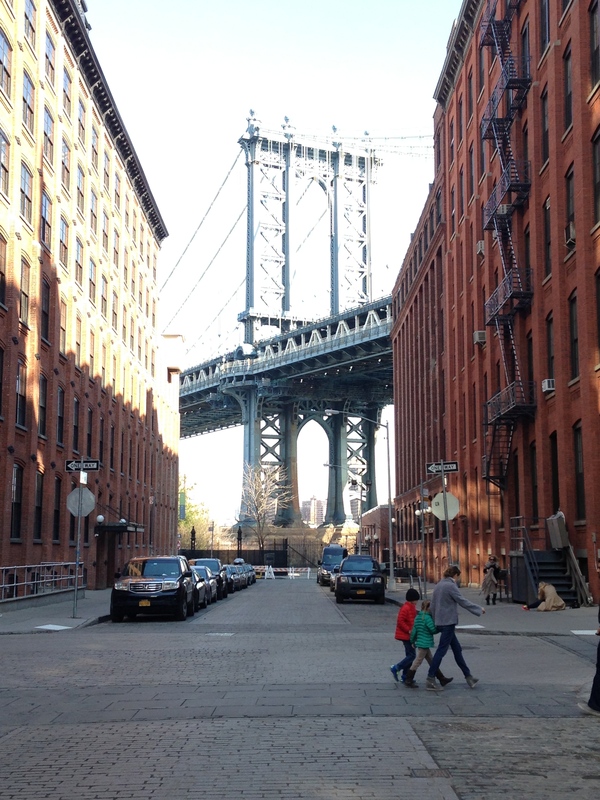 The next day, Adam and I toured Brooklyn. 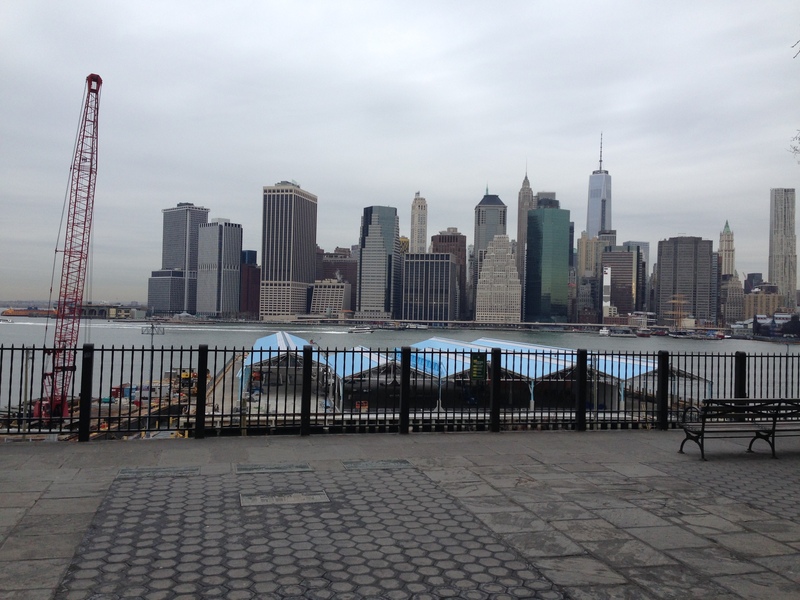 The promenade gives an amazing view of the city. 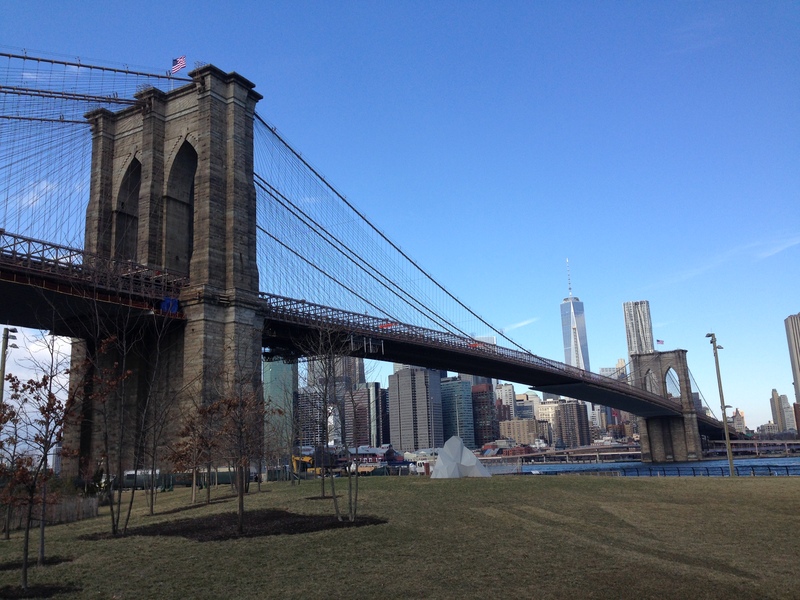 I took tons of pictures under the Brooklyn Bridge in the Dumbo area, and enjoyed the older architecture. I would totally live in Brooklyn. 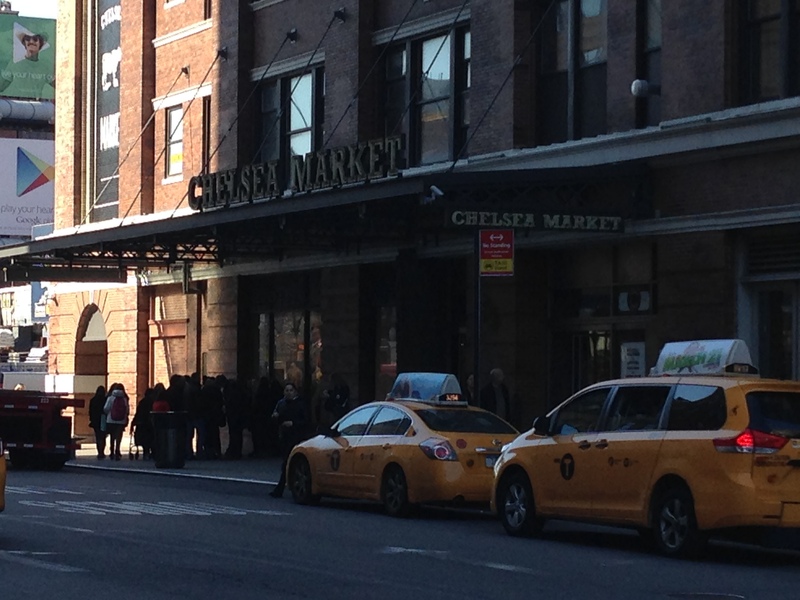 In the city, we went to Times Square and Chelsea Market. 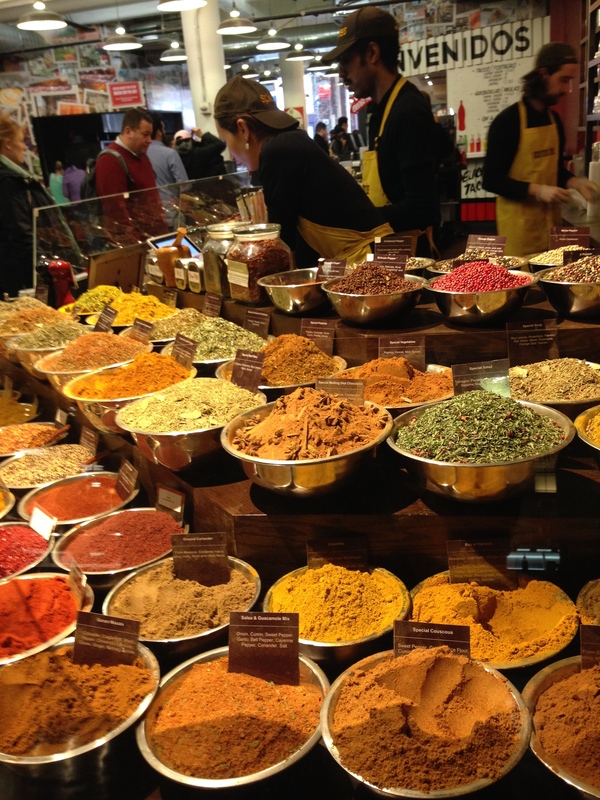 I loved wandering through the kitchen and restaurant equipment shop, watching the mini donuts brown, and smelling spices at the spice shop. Next was a walk on the high line to the Theater District. 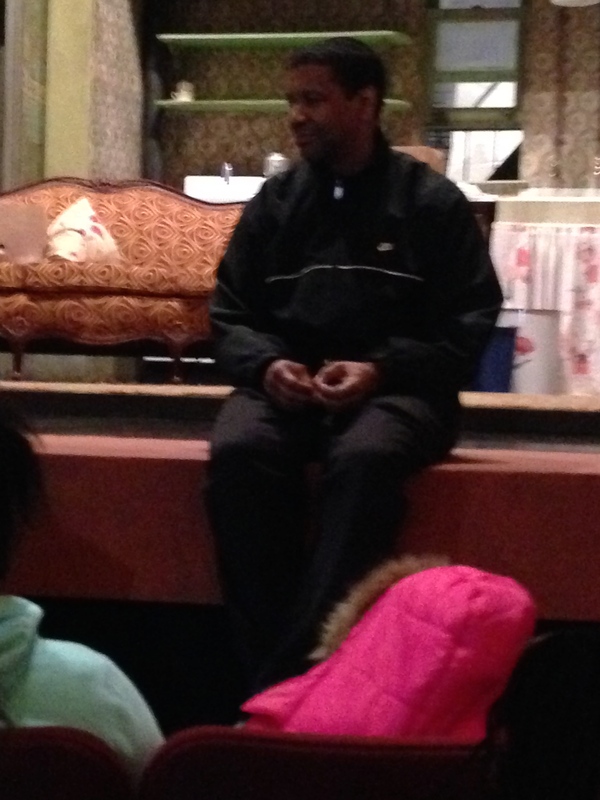 Adam’s work with The Boy’s and Girl’s Club of America allowed us to see a preview performance of A Raisin in the Sun with Denzel Washington. The performance was wonderful. It’s themes of dreams, family, oppression and assimilation make it one of my favorite plays. After the performance, Mr. Washington did a Q & A with the group of young people from the Mount Vernon B&G Club (of which he is an alum). 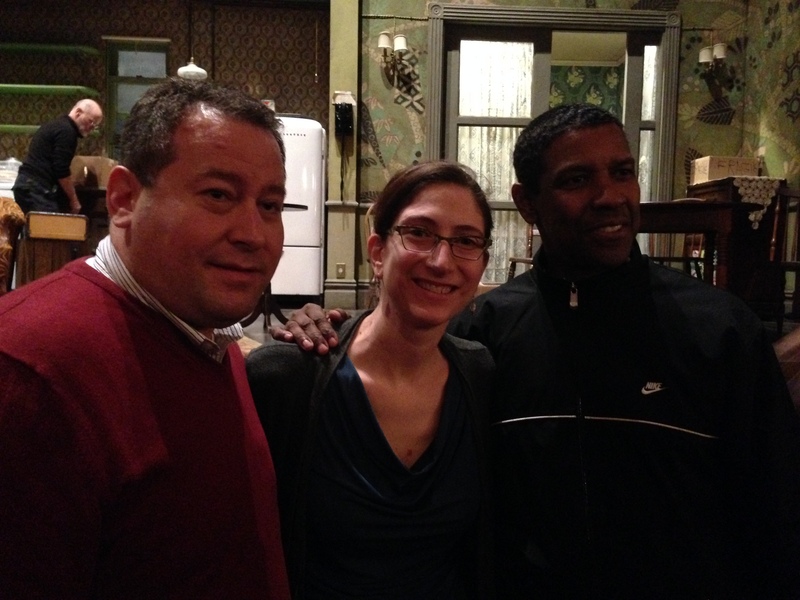 Thus the picture of Denzel, Me, and Adam. It was a blast! I saw this wonderful exhibition and posted about it here: http://annajboll.com/2013/07/22/summer-blog-lag-and-a-photographic-apology/ Leave a comment below, if you plan to attend the discussions. I’d love to follow you and hear about the events via Twitter, Facebook or blogs. 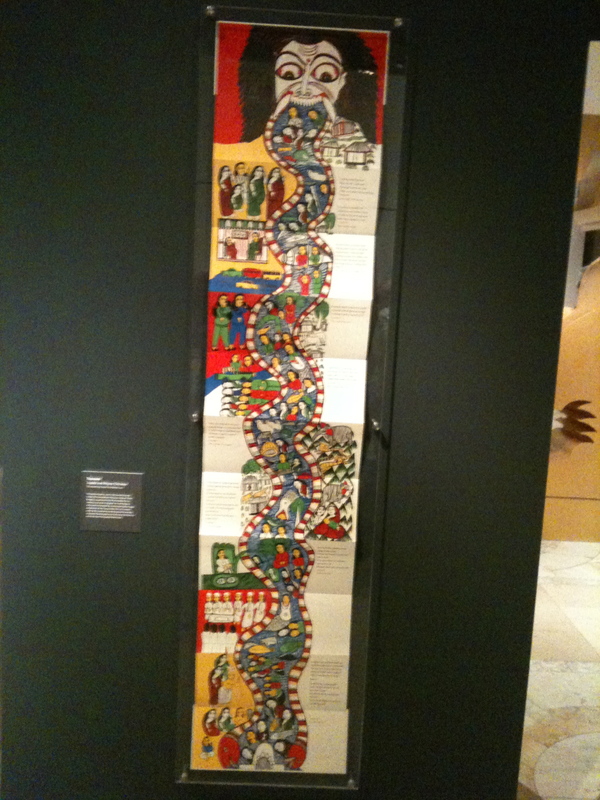 This fall, the Bank Street College of Education will host three lively panel discussions moderated by Leonard Marcus, curator of “The ABC of It: Why Children’s Books Matter,” the critically acclaimed exhibition currently on view at The New York Public Library (42nd Street at Fifth Avenue). These one-hour programs, each featuring a panel of experts in conversation with the curator, will focus on key aspects of the wide-ranging landmark exhibition, and offer audience members an opportunity to ask questions about the show and discuss the lessons to be learned from it. All three programs are free and open to the public, and will be held in the Tabas Auditorium of the Bank Street College of Education. 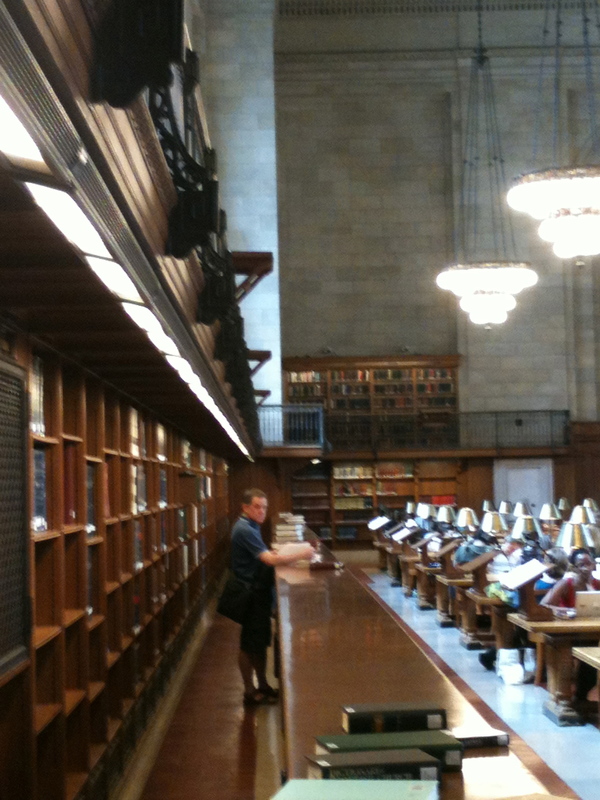 A book signing will follow in the lobby immediately following each program. It has been a busy summer of trips both expected and unexpected. My constant travels have taken me away from social media which is a mixed blessing. On one hand, it feels great to be unplugged and to have relief from the constant stream of information. I’ve made some progress on my WIP, caught up on some reading, and had some wonderful family time. On the other hand, I feel guilty not to be contributing to said constant stream. 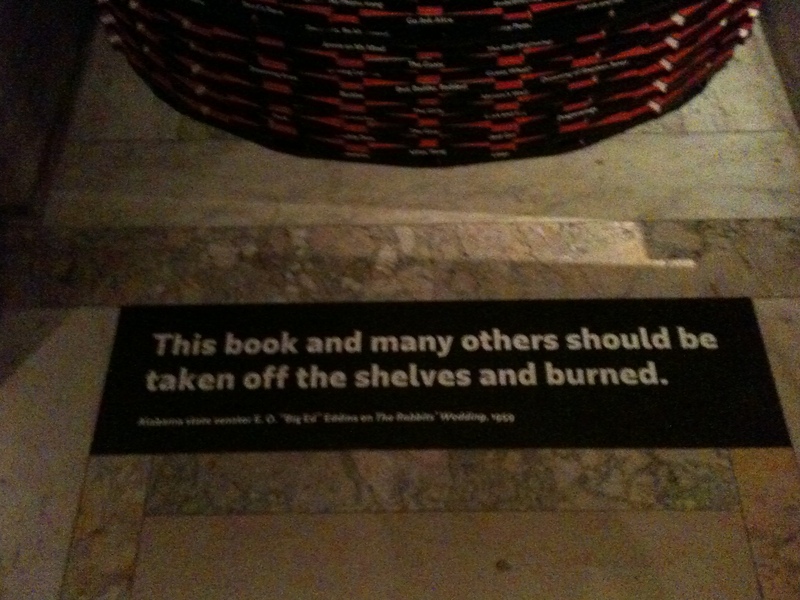 “My blog readers will go elsewhere for pithy observations, book reviews, and industry buzz.” C’est la vie. If you need time-wasting excuses, I’ll be posting pictures from my recent adventures over the next few days. Enjoy! Then go read, write, draw, and enjoy the summer outside unplugged. 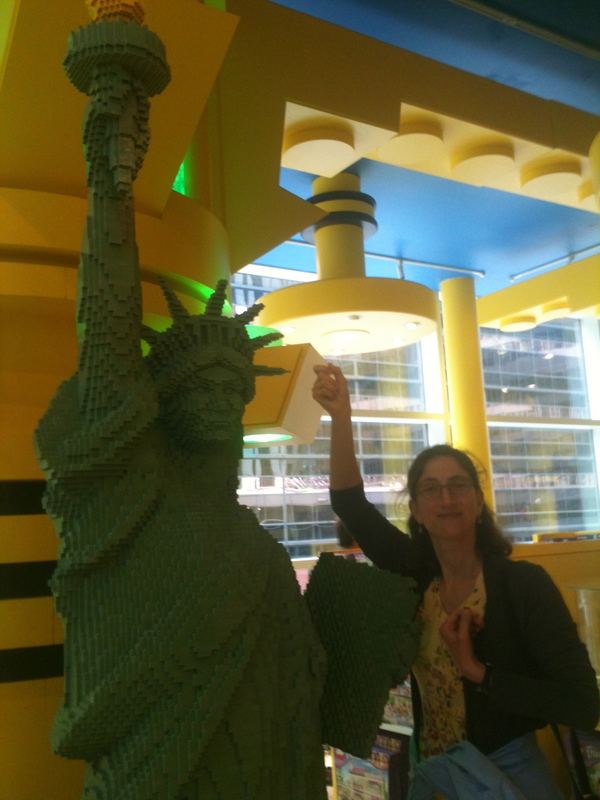 I went to NYC to be with my brother who has been quite ill. Happily, he is making steady if slow progress towards healing. 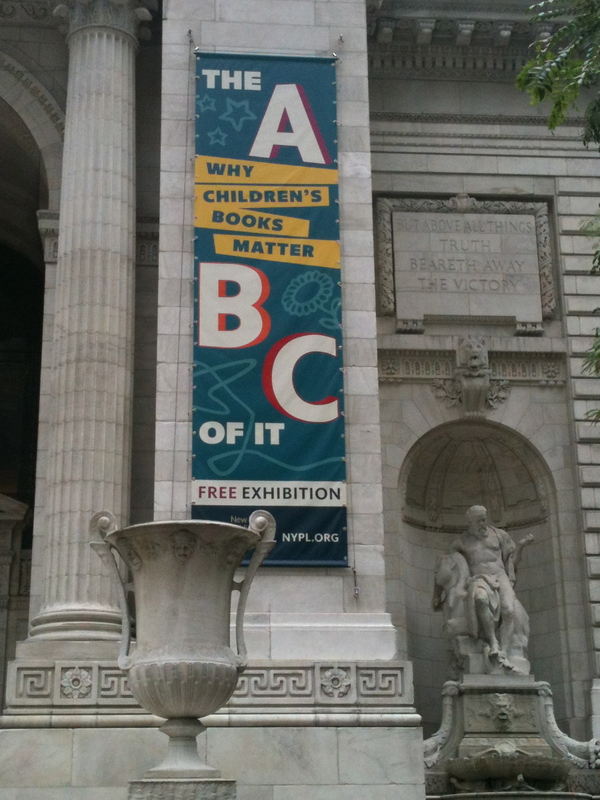 I did take one morning to visit THE A,B,C’S OF IT: WHY CHILDREN’S BOOKS MATTER, a free exhibit at the NY Public Library. If you get a chance, please visit. Fabulous artifacts (primers from the 1600’s) and great history of children’s books and how they’ve changed to meet the educational philosophy of the times. 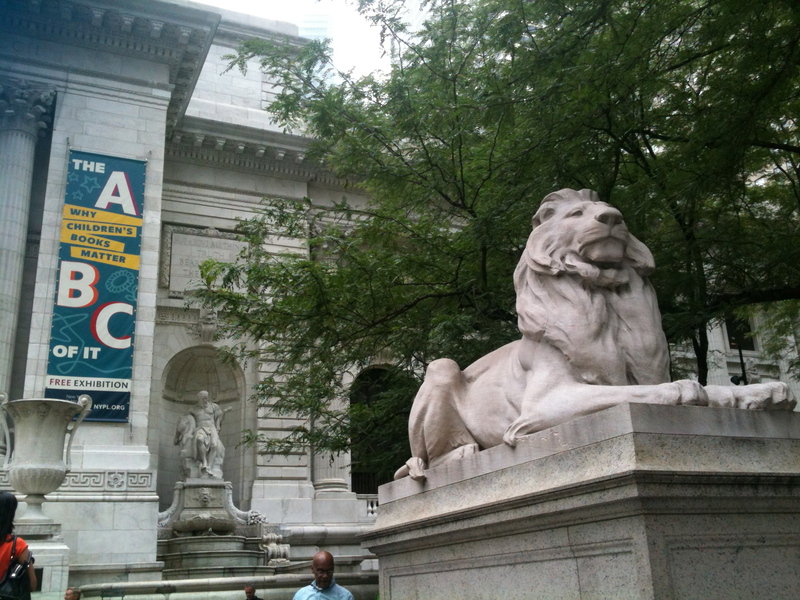 Who doesn’t love the iconic NYPublic Library Lions? 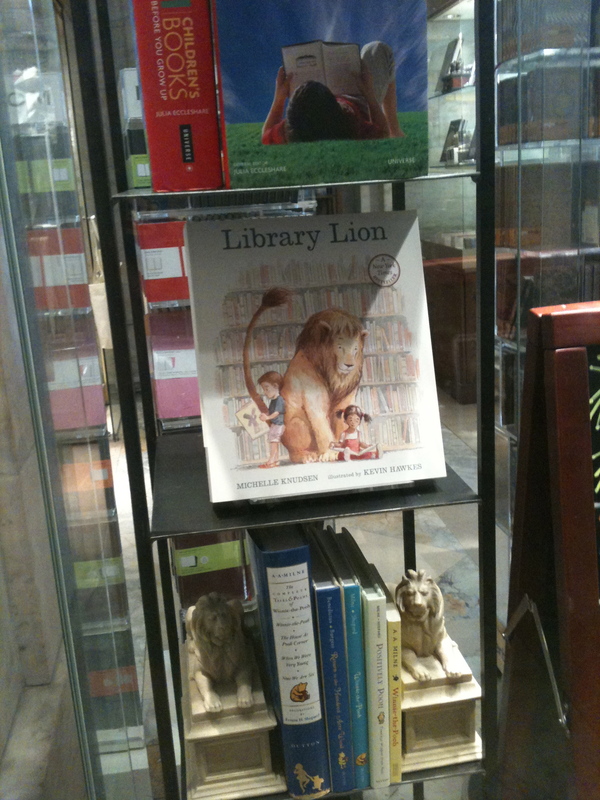 So happy to see my friend Michelle Knudsen’s fabulous book, Library Lion, in the display case! New Yorkers! 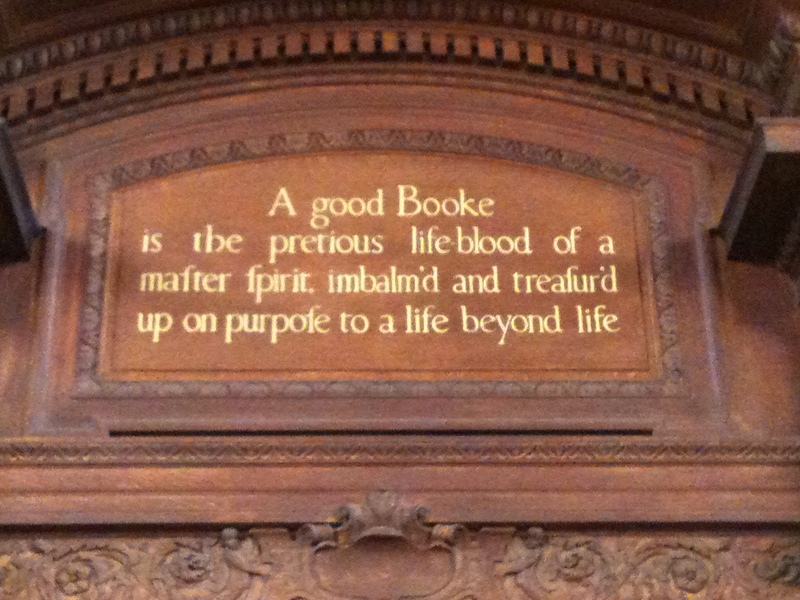 You are so lucky to have this amazing temple to the book! 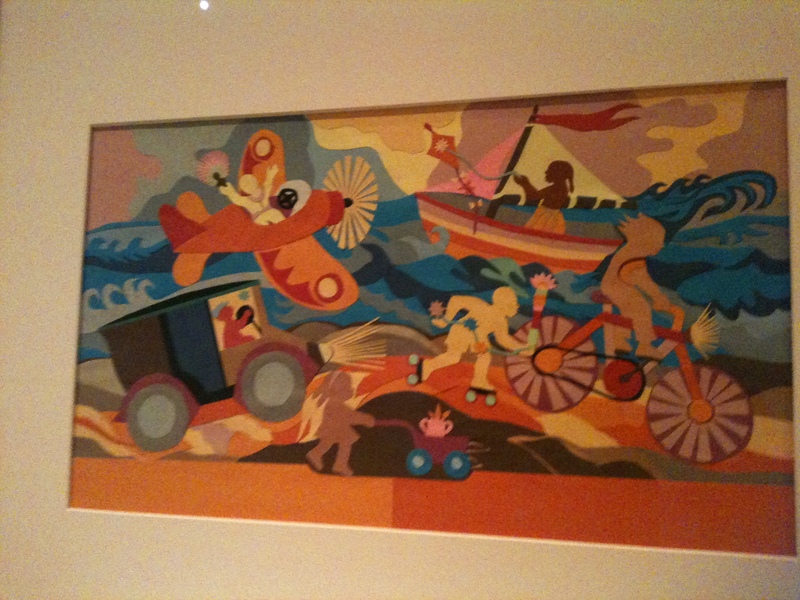 Winnie-the-Pooh and friends took a journey from their usual spot in the children’s room to be in the A, B, C’s exhibit! The wonderful Wanda Gag. (Rhymes with fog.) 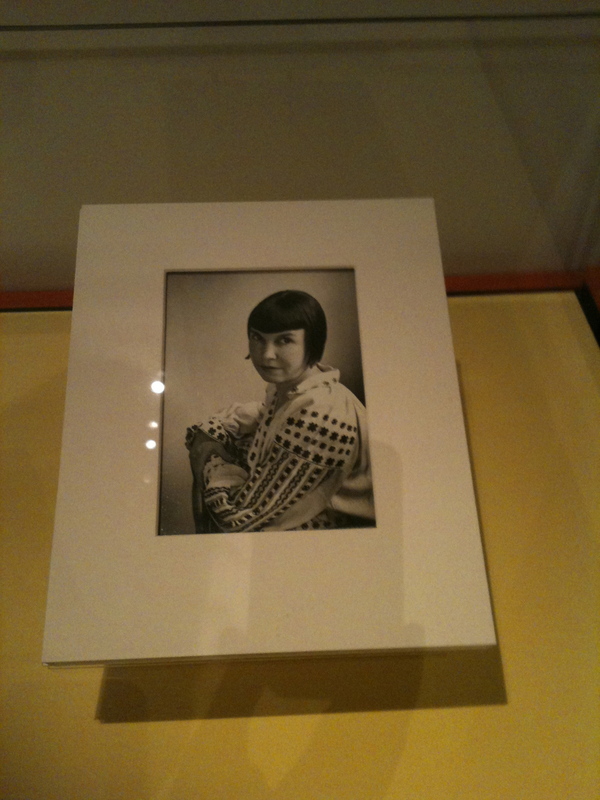 I’d never seen her picture and was struck with the thought that perhaps Kirsten Cappy of Curious City Books is Wanda Gag reincarnated. 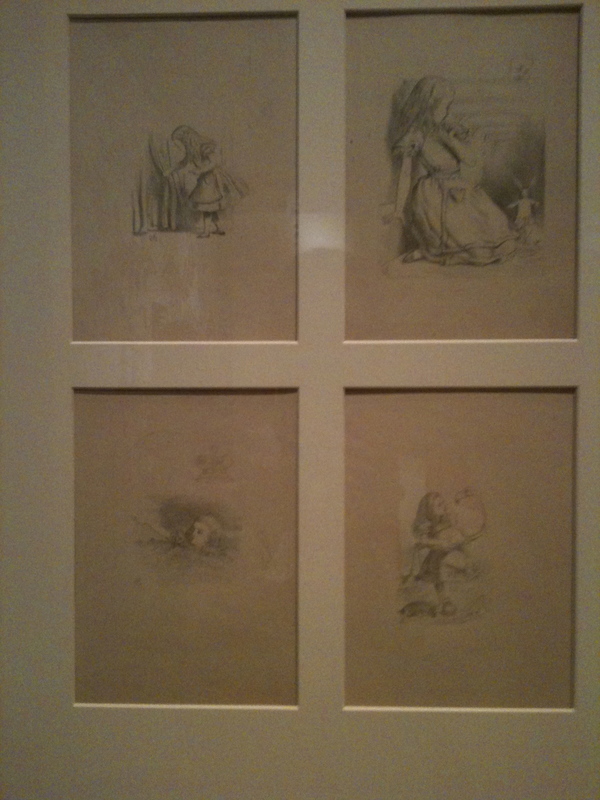 Original sketches for Alice in Wonderland! Striking fold-out book about the tsunami in Southeast Asia. Original artwork of Mainer, Ashley Bryan. See video below for more…. 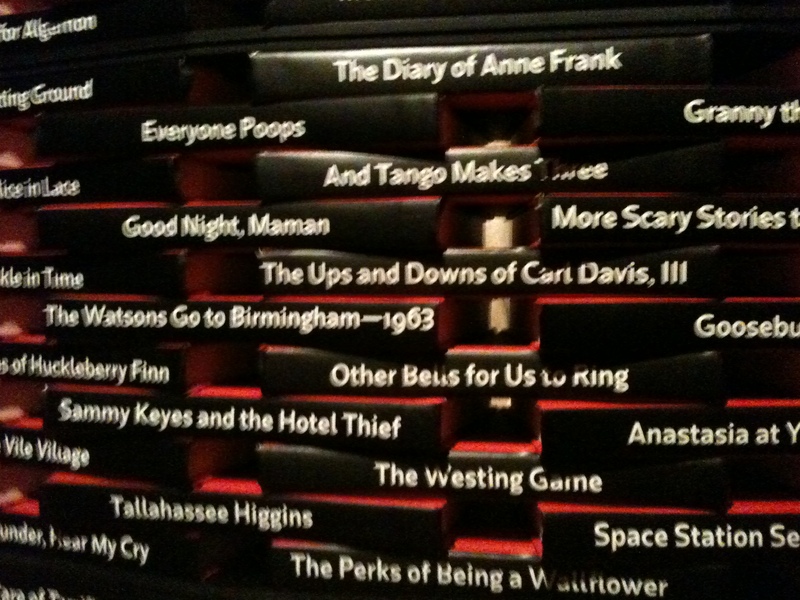 This is a carefully constructed column created from banned books. A closer look at a tiny section of the stack. The plaque underneath the column. Tomorrow, midcoast Maine and Monhegan Island. Get your head in the game. It is the Wednesday after vacation, and I’m having a hard time getting my head in the game. I haven’t written in a while due to work I’ve been doing for Creative Bookings but each day I don’t write feels like a tiny puzzle piece of me gets shoved under the couch by mistake– lost until someone discovers it in a mound of dust bunnies, dog toys, and lone sweaty boy socks. Luckily, NESCBWI is coming up. I know I can count on the conference for 1 part inspiration, 2 parts love and support, and 1 part alone time. 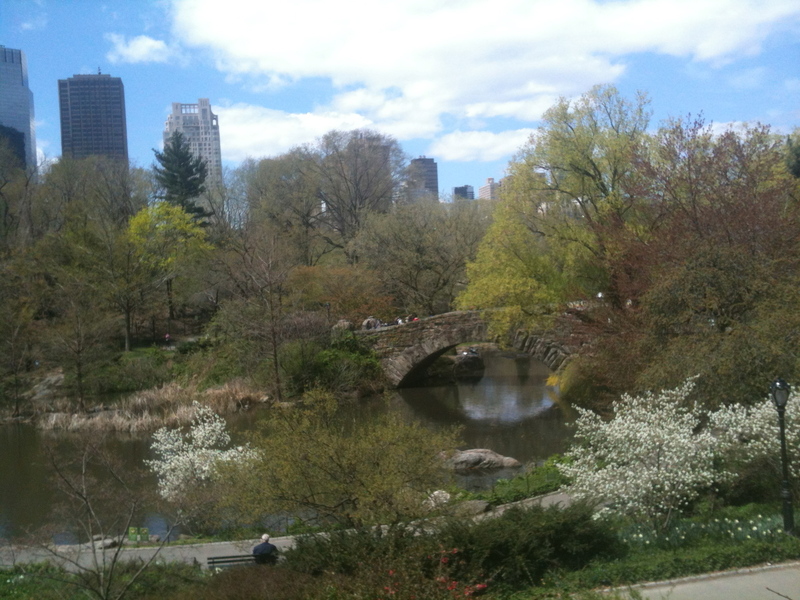 Look at how beautiful Central Park was! to forsythia in Connecticut, to um… tree limbs that barely have buds in Maine. It’s been cold and crappy here. Anyway. As my father says. Buck up, Sport! Everybody wants something in New York City. 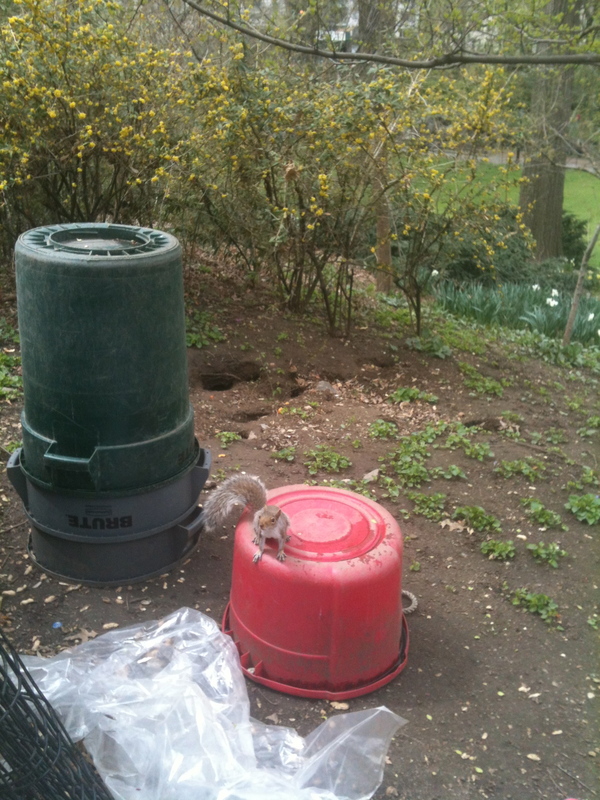 This squirrel was totally hamming it up for us. I missed the picture when s/he stood up on her/his hind legs, but you get the eagerness here, right? Oh, Lego engineers. You are full of awesome. 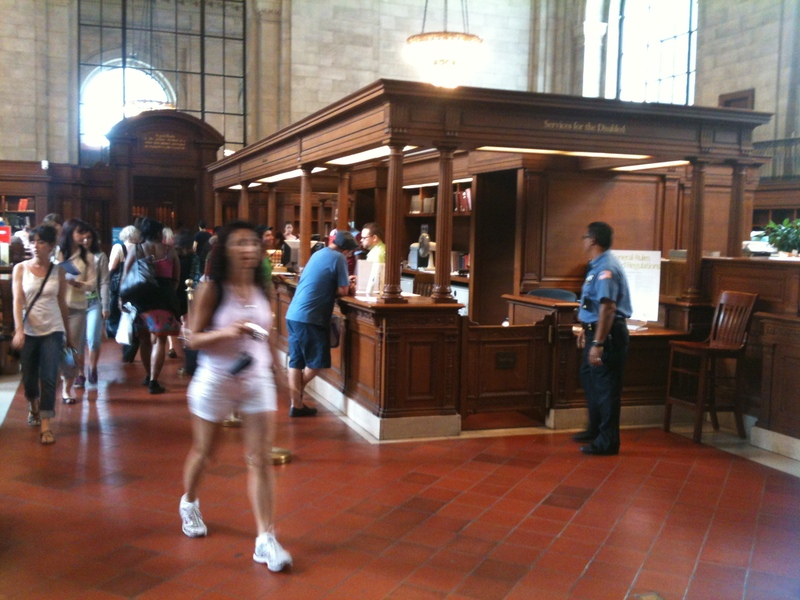 By the way, Liberty Island is closed until July 4th and Ellis Island is closed indefinitely due to Hurricane Sandy.